In the African American community, the number of fathers, mothers and significant adult role models dedicated to supporting the lives of children is incalculable. These amazing men and women are building and maintaining strong communities. They give freely of their time, money and love and are motivated to making a difference for young men and women of color. Their efforts garner little fanfare; but their work strengthens families and communities while forging a nation of leaders. Often these men and women are left out of conversations concerning the African American community; because they represent contradictions of the negative stereotypes depicting African Americans. These pillars of the community; we proudly define as Narrative Changers are the voices and stories we hope to share during the Living Education: Re-Defining The Narrative Series. 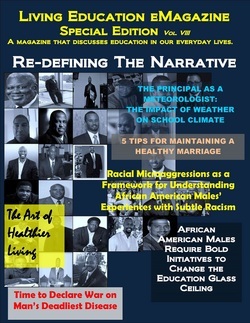 We salute the thousands Narrative Changers making a difference in the lives of all Americans and honor them with our Living Education: Re-Defining The Narrative Series.